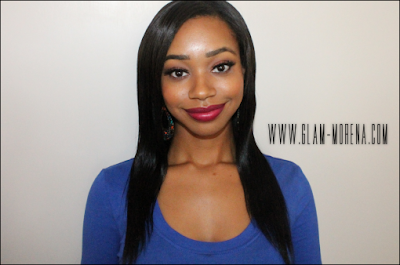 Glam Morena: Irresistible Me Clip-In Hair Extensions. Irresistible Me Clip-In Hair Extensions. 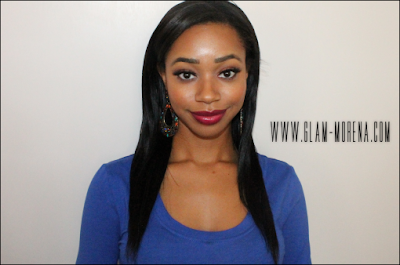 Over a month ago I received some clip-in hair extensions from Irresistible Me. Irresistible Me sells 100% human remy hair extensions. The best thing about these hair extensions is that they are a lot more affordable than others brands. The prices start at just $69! Standard shipping is $10 and express shipping is $30. Description: Our products are natural human Remy Hair. Clip in Extensions are a good way to change your look without damaging hair. Match to your own hair color or mix in a different color for beautiful highlights. Each set (100g without clips) is composed of 8 pieces of different widths, purposely adapted to cover your head all around. There are 12 shades available. The hair texture is straight. 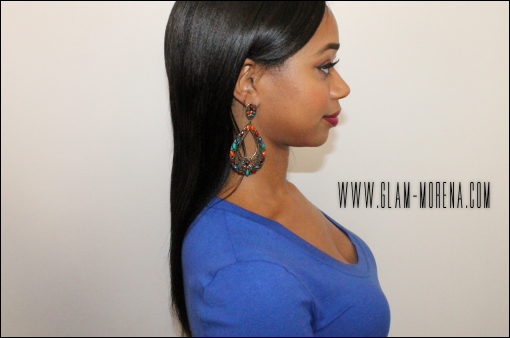 Hair extensions come in a range of 14, 16, 18, 20, 22, or 24 inches. You can choose to purchase hair extensions in 100g, 140g, 160g, or 200g. For price details click here. Be sure to watch the video for more information on the hair extensions! wow they look really good. I dont wear weave or anything but I have to say you cant tell. Straight hair extensions,It will give new look.